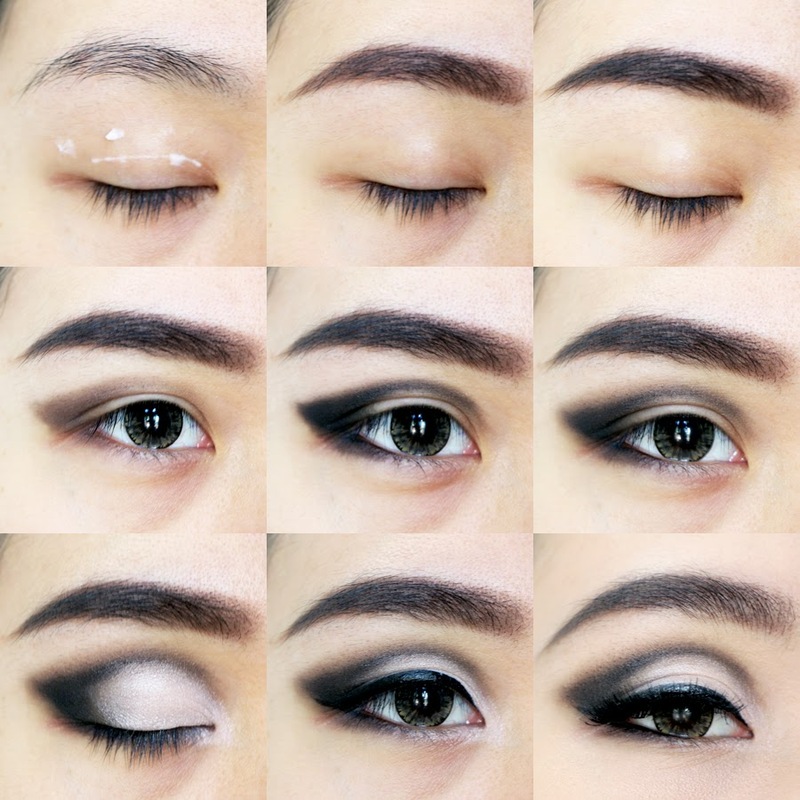 While I still have some free time on my hand yesterday, I made a tutorial for my eye makeup I did here. I think it's a very basic cut crease and I'm doing it with the classic black & white, but you can do it in any color you want. Be creative! 1. Prime your eyes first so the eyeshadow would show up better and blend easier. 2. Draw a thick and full eyebrow with brown first as base. 3. Layer it with black focusing on the tail and lighter on the front. I did these 2 steps of eyebrow color to make it strong yet subtle look. 4. Map out the outer shape of the eye. Fill in the third outer part of the lid with grey shadow as base color so its easier to blend later. Its easier to wipe off when you make mistake too. 5. 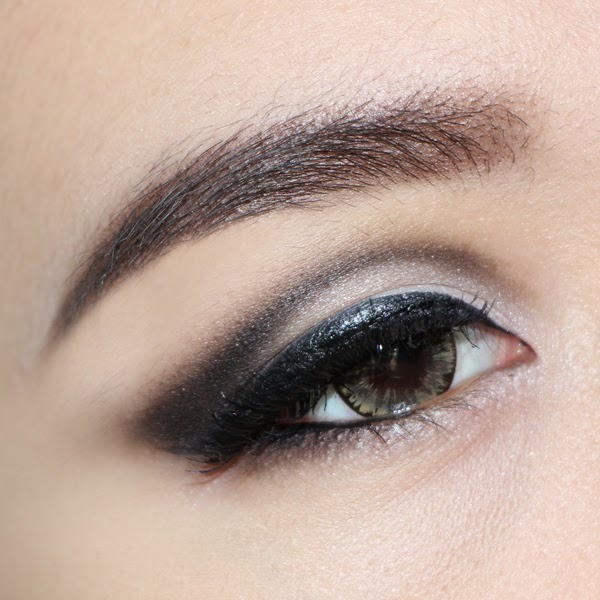 Trace the shape you've made with black eyeshadow to deepen up your eyes. Make sure to draw the line just above your actual crease, it too far it will look too fake. While keeping it juuust above the line will give you a double lid effect. 6. With a tapered fluffy brush, dip it in a dark brown color and then with a winshield wiping motion, blend the edges really slowly and take your time with it until it blends nicely. 7. Fill the rest of the lid and the tear duct area with pearly white shadow and blend a little. We want it to blend but softly where we still can see some harshness in there. 8. Draw up the winged liner and on the outer third of your waterline. 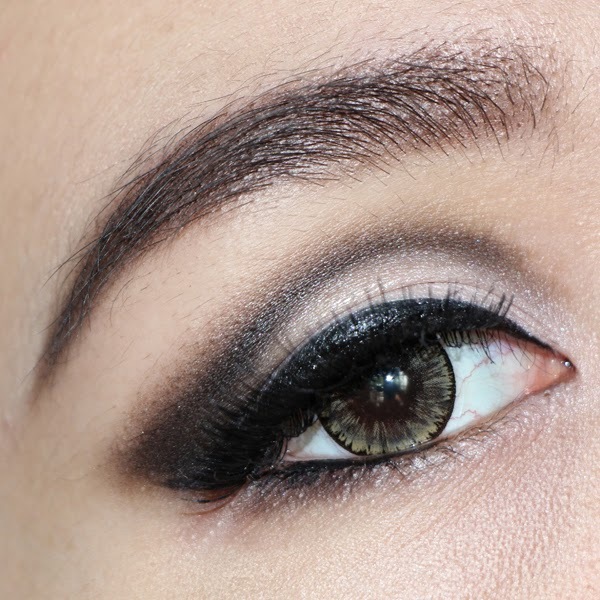 Make sure to connect the upper and lower eyeliner nicely so it looks like a unison. 9. Curl up you lashes and add a nice full pair of falsies to further more emphasize your eyes. Clean up your under eye from any fall out and cover it with some concealer. And you're done! Cut crease is my main weapon when I want to look dolly or make my eyes looks big. It looks great on photos too! 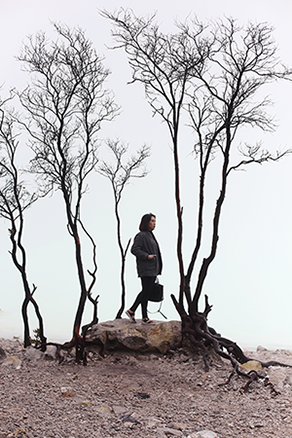 It need quiet a while to know where to draw the line but as an old saying, practice makes perfect. So keep practicing and just do what you know best at the moment. Before you know it you'll be doing it like a pro in no time! 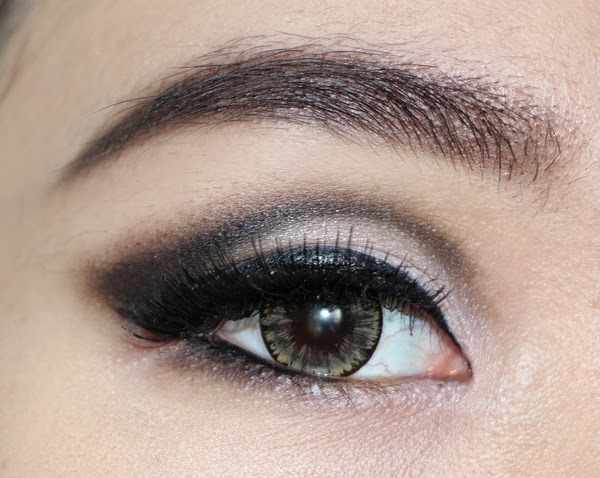 Ini rapih banget ya.. iiiish terinspirasi saya vani^^ tspi tuh warna eyeshadow hitam nya cekep banget.. shimmer nya bisa nampak di photo.. kalo di asli nya terlalu lebay nggak shimmer nya? ?